Walking the off-beaten path: What Is a Good Age to Ride with a Farmer? What Is a Good Age to Ride with a Farmer? 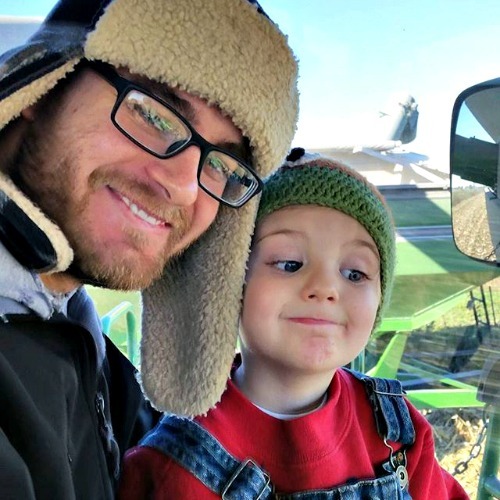 As we in Agriculture strive to get our message out about what we do, this question usually comes up, "To what age should we target our message about Ag?" My answer is that it's never too late or too early to make an impression on people about Agriculture! Last year I got word that Tall Guy's Aunt Joyce was coming out to ride in the combine. 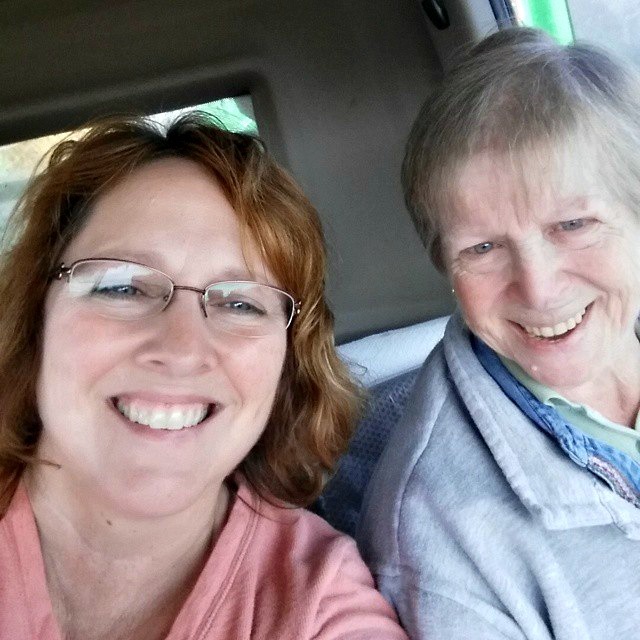 This was the FIRST time she had ever ridden in a combine, and her family has farmed all her life! What a treat it was for me to listen to her react to all that she saw. I think she could have ridden with me all day! Sometimes we just assume that farm owners know all about farming, but if they do not live on the farm, sometimes they don't have that first hand experience or equipment is a bit more advanced that the last time they rode. On the last day of harvest on our farms, I called my niece to see if she would like to bring her family out for a ride in the combine. They beat feet right over, and these two occupied my Buddy seat. Thanks Amazon for the pic! 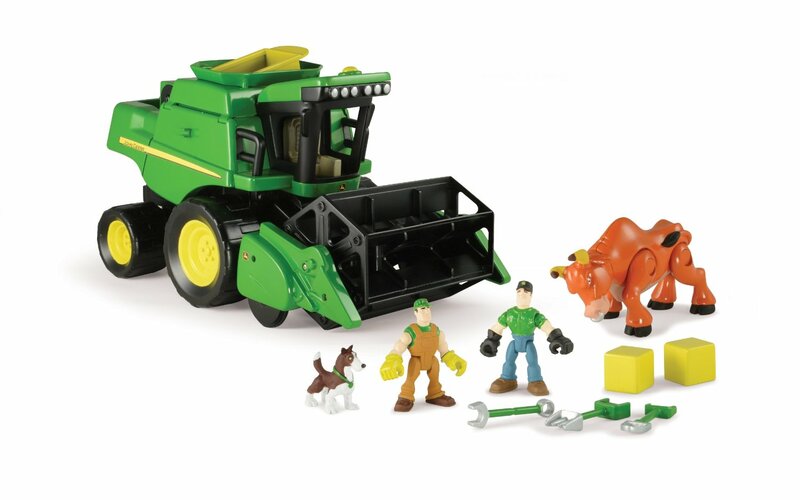 Now, let's not talk about the "squares of corn," or the interesting proportions of the animals and farmers; let's focus on the big picture.....My great nephew has his own combine~! Want to know what he thought of it? Auger might be a bit hard to say, but he remembered what it was and was in a big hurry to get it out of its ties so he could play with it! I would call that a lasting memory that I know we will add to in the coming years. The moral of the story is that we as farmers can make a huge impression on those removed from farming, and it is a simple as taking someone for a ride in a tractor, combine, semi, or even a gator! If you know a farmer, ask them if you can go for a ride some time. If you are a farmer, ask yourself, "Who can I take for a ride next year so that this person or these people can better understand what I do?" If you are not a farmer, ask around, find a farmer to meet, and take a moment to learn more about what we do. This post has an affiliate link.